This weekend package includes everything you need to administer 4 medication doses. 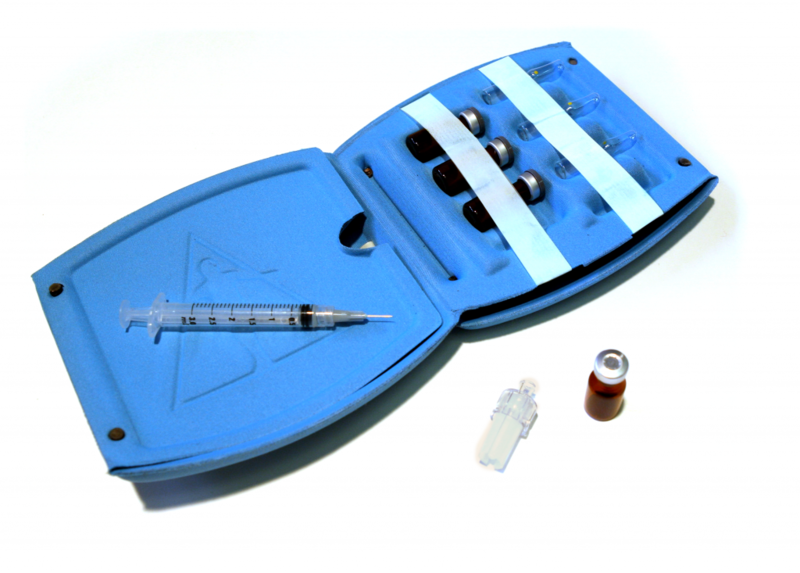 Because the drug must be kept cooled, there is also room in the pack for a cooling element. The total packaging can be placed in the refrigerator to ensure that all the supplies are neatly together and ready to go.